This map from Phukhao Advertising is divided into four quadrants. Clicking on any quadrant will display a larger image. Free copies of the latest version of this map are distributed widely in Hat Yai and should be available from all hotels, travel agents and other tourist outlets. This map of Hat Yai is divided into four quadrants. Click on the area you are interested in to see a larger version. When Central Festival - the largest shopping mall in southern Thailand - opened in Hat Yai at the end of 2013 it completely transformed the face of shopping, eating and entertainment in the town. Many visitors to Hat Yai now come specifically to visit Central Festival. Check out my comprehensive floor-by-floor guide to Central Festival in Hat Yai to find out exactly what's there. Listed opposite are some of my personal recommendations for hotels in Hat Yai based on budget. 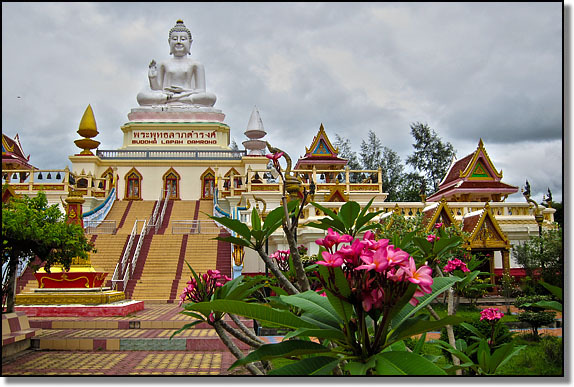 I have lived permanently in Hat Yai since 2003 and my recommendations are based on a lot of local knowledge. Each link will take you to the relevant page on the Agoda website where you can see photos, read reviews, and book on-line. I use Agoda to book all of my own hotels in Thailand and the Southeast Asia region. Agoda hotel rates are usually always the lowest and I have received good customer service, therefore I am happy to recommend the company to other people. Here is some analysis I did regarding booking hotels in Southeast Asia.